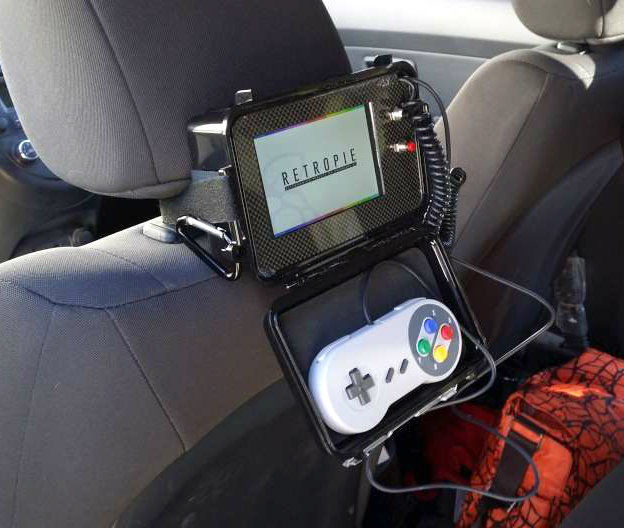 Raspberry Pi emulator console for the backseat #piday #raspberrypi @Raspberry_Pi « Adafruit Industries – Makers, hackers, artists, designers and engineers! Great project from MoTiknkerGNome on Instructables. Scope of project: After building a Bar-Top Raspberry Pi retro gaming machine I determined that while cool I cant take it around easily as it weighs about 40 lbs and is the size of a large microwave. And while fun for the basement perhaps Arthur would want to play it in the car for the long drives back to his Moms house. My original plan for this build was based off the Adafruit PiGRRL but I I wanted the ability to play the SNES and Genesis emulators. I figured I would just need to add a couple more buttons and it would be a peace of cake. I thought wrong. Unlike my other projects I bought almost everything for this build. I used my 10% off coupon for being a pro member with Adafruit, I have to say their support forums are great and the benefit of being an Instructables Pro member was worth it just with the savings on that one order. I chose the the 5″ non touch TFT with HDMI input however in hindsight with the finished project I would have picked a analog/composite display as the driver board and signal wires are easier to route then HDMI. I wanted to build a Gameboy and wound up with a cyberpunk looking headrest console. But the build was fun and the end result works. I am sure Arthur is going to like playing games instead of sitting for 3 hours in the car. Ill include pictures from the failed project just to show that sometimes things don’t go perfectly and that is OK.
Take a break put it aside then when you come back you may have the fresh perspective to figure out the problem that was driving you insane in the first place. Oh and I am sure I am going to drive someone nuts as I will switch between Metric and Imperial measurements with equal aplomb. Some things are only mentioned in MM and others are only referenced in inches. I will try to keep it all in millimeters for accuracy but somethings are only sold with inch measurements here in the states. Shall we get to building? This took me about 3 weeks of tinkering after I scrapped the first 2 handhelds, I started pretty much as soon as I finished the bartop. 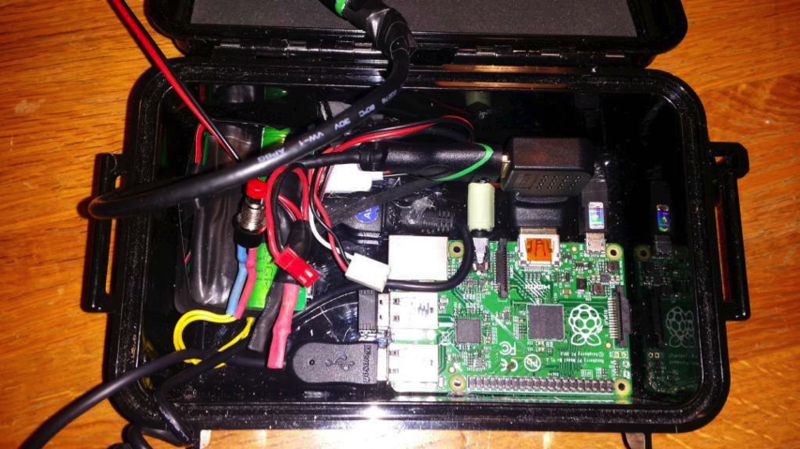 *Further note* The finished console is a full raspberry pi computer. With the wireless keyboard and mouse, and the little 802.11n wireless chip. I can exit emulation station using the controller or keyboard then boot to a shell or X to join wireless networks get on the internet or code. As everything is sealed in carbon fiber and plastic the wifi is needed to load ROM’s and updates. 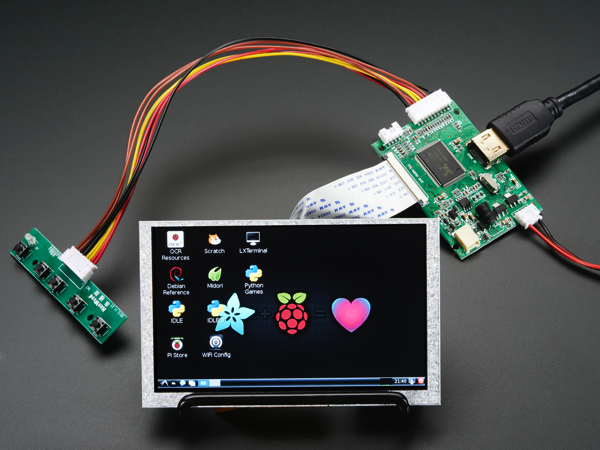 HDMI 4 Pi: 5″ Display (no Touch) w/Mini Driver – 800×480 HDMI: Yes, this is a cute little 5″ TFT display with WVGA 800×480 resolution and a cute little driver board. We tried to get the smallest display that would be good for embedded computing usage and at a good price. And we also tried to match it with a small driver board that can be powered from a USB port. The visible display measures 5″ diagonal and is a ‘raw’ TTL display as is used in portable electronics. The driver board only has an HDMI input but for Raspberry Pi, BeagleBone Black and other computers, HDMI is the best quality output available. The display is very easy to use – simply connect the USB power cable to 5V power supply that can provide 500mA, then connect a digital video source to one of the HDMI port. Voila, a display! Read more.